Leave the cramped, noisy campgrounds behind and spend a night in the open wilderness. With over 245 million acres to choose from, you can safely pitch your tent almost anywhere on public land managed by the Bureau of Land Management without nary a neighbor for miles. BLM land is best known for its liberal free camping policy–anywhere along existing roads and outside of paid campsites, picnic areas, and trailheads are generally fair game for setting up camp. Much like the liberal dispersed camping policies in National Forests, you can hike in a bit, make use of a pullout, or enjoy a secluded spot along an access road. However, be prepared to give up the typical amenities–table, toilets, bear lockers, and yes, water–for your peaceful getaway. While not every campsite or overnight stay on BLM land is free, the will still only set you back a green juice or two. Before you head out, check in with the local BLM office to make sure that the area is open and ask if there is a fire ban in place. Once you get to camp it’s vital that you follow principles to reduce your impact on the land its local inhabitants. Only pitch your tent on durable surfaces that are at least 200 feet (about 70 steps) from water and use existing fire rings. Be prepared to and carry out all of your trash, including used toilet paper. You’ll also need to pack in all of the water you’ll need or bring gear to treat backcountry sources. Once you’re settled, you can stay up to 16 days in most places. Just outside of Canyonlands National Park and to the south of Moab, Canyon Rims is a hotspot for red rock hiking, tearing up on a , and camping. 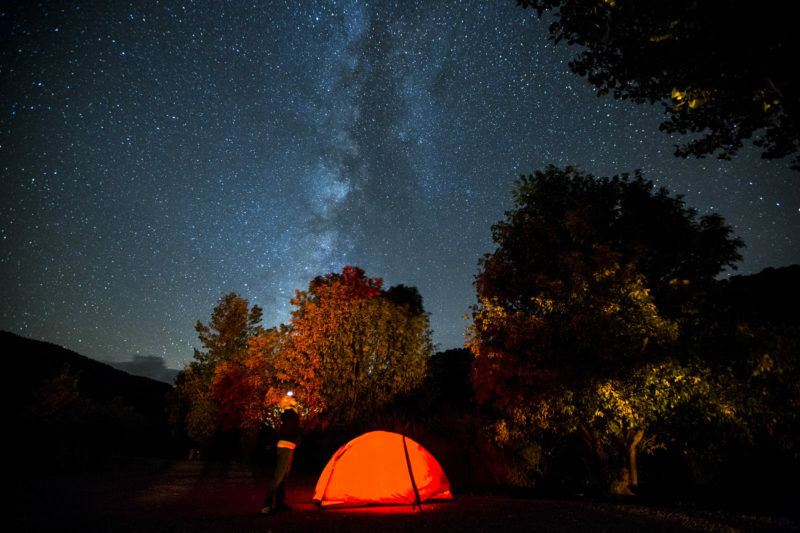 There are three designated campgrounds with a nightly fee or you can search out a free primitive spot to call your own. Some of the roads are rough enough to take advantage of four-wheel drive, and you’ll want to leave early enough to make sure you don’t miss the vibrant sunset. Browse the to discover more hidden gems. You can also get maps at any of the BLM district offices and visitors centers. Find an established BLM campground by going to , typing “campground” into the search bar, and filtering by agency.